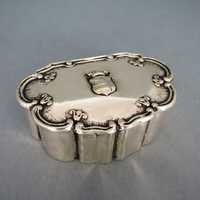 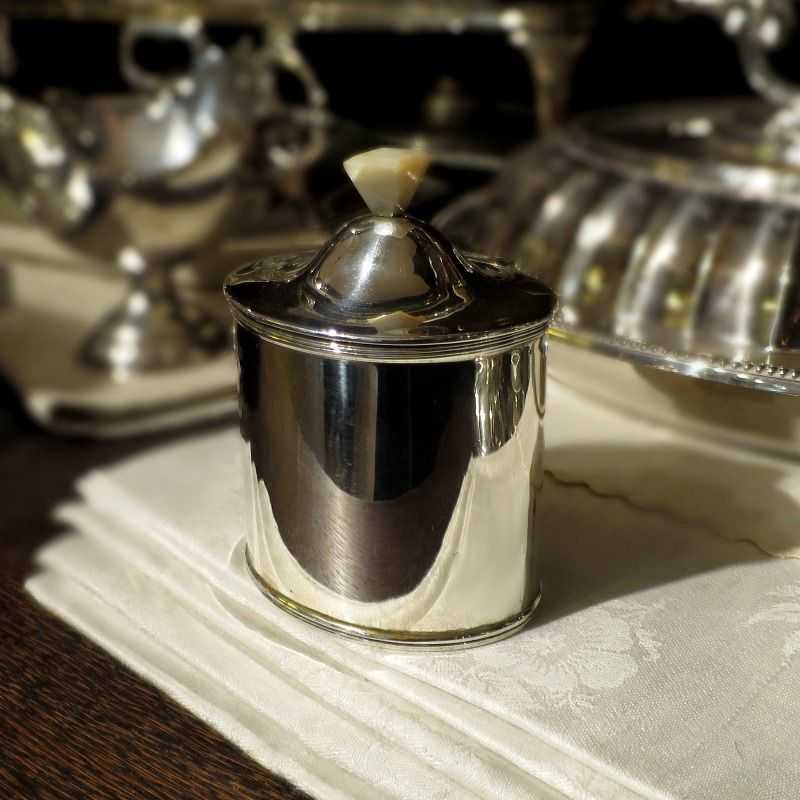 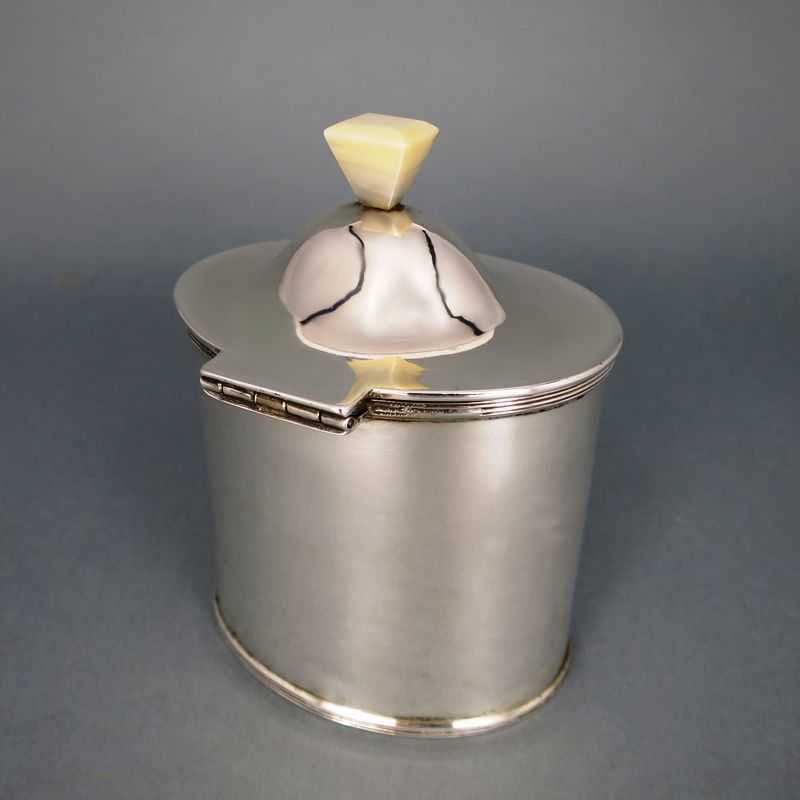 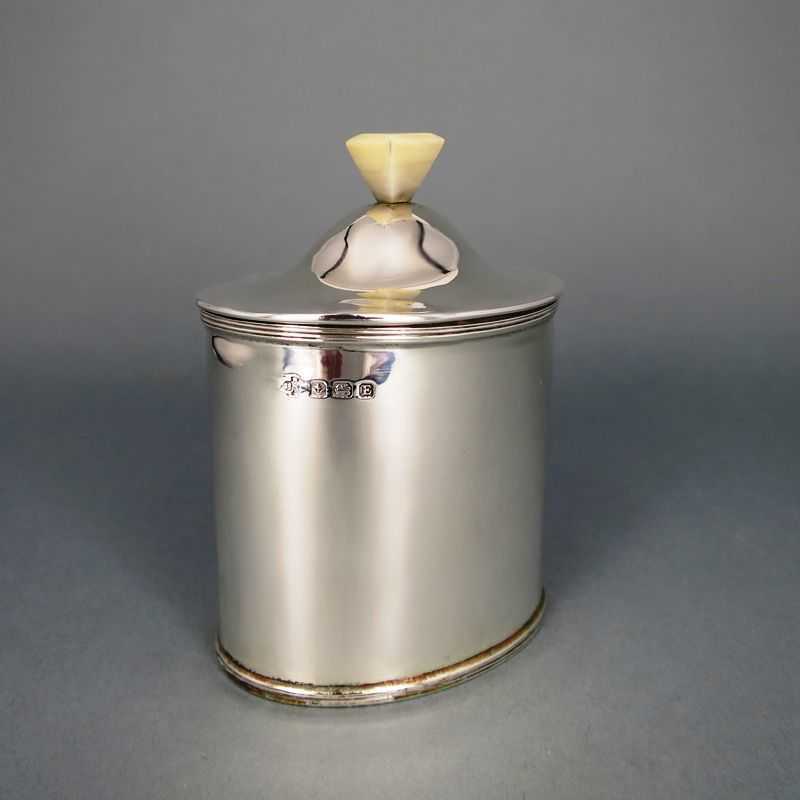 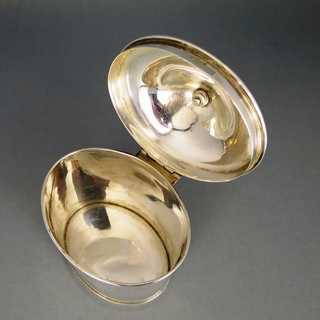 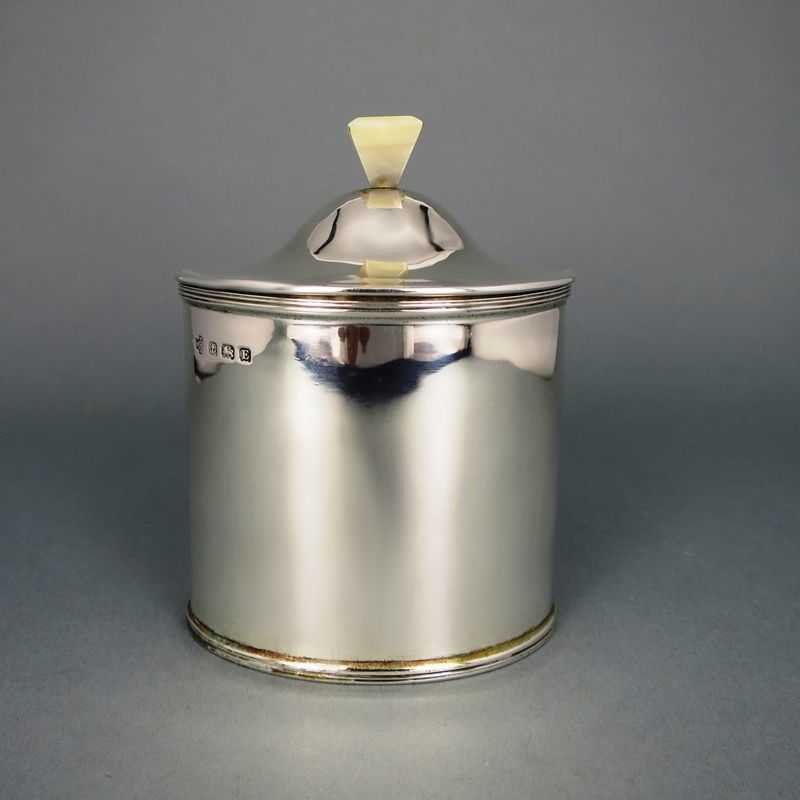 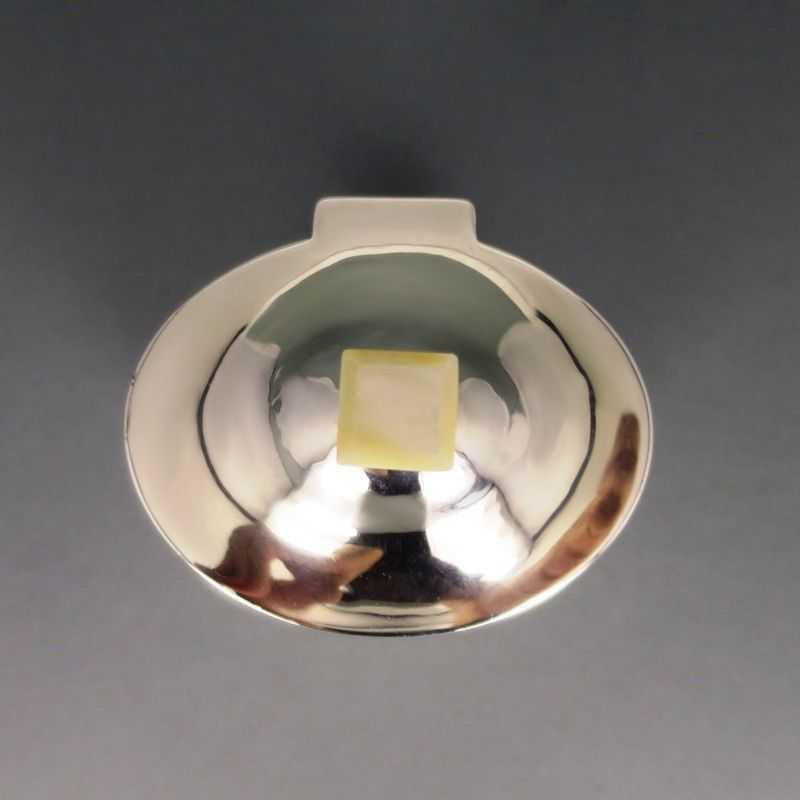 Elegant shaped tea caddy from Art Deco time. 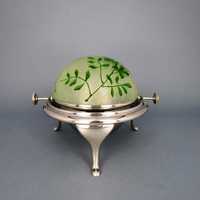 Oval stand, vertical, polished walls and domed hinged lid with a geometrical knob. 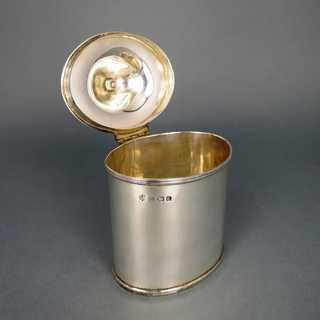 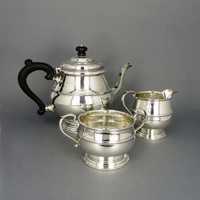 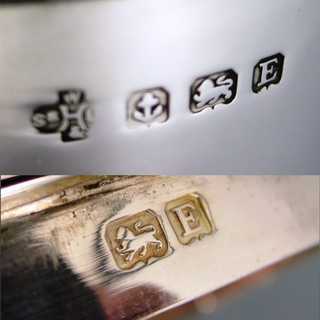 Marked, made by William Hutton & Sons in Birmingham/England, dated 1929.